We built a centralized, cloud-based solution to help property managers catalog and maintain their investments. Large properties require constant upkeep and coordinated work between multiple personnel. Corporate and retail property managers often manage multiple properties at once tracking maintenance needed, logging work, assigning contractors and pulling reports. They receive information from several sources, from tenants to contractors to owners. There’s a lot to do — repairing cracks, replacing plumbing — and a lot to organize. An information gap exists for contractors too. Sometimes rework on complicated projects may be required because no communication record was maintained. 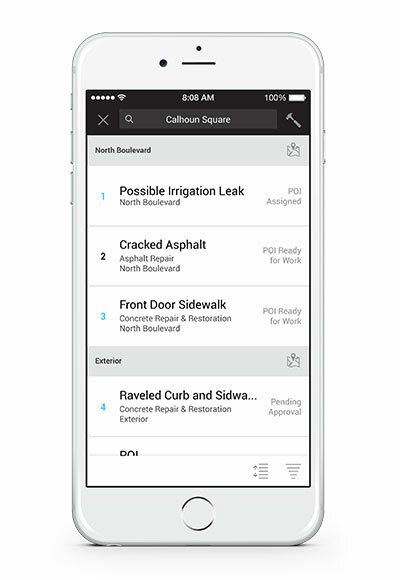 A visual tool available on mobile devices to plan maintenance, assign contractors and manage communications could eliminate wasted time and simplify workflows for property managers. 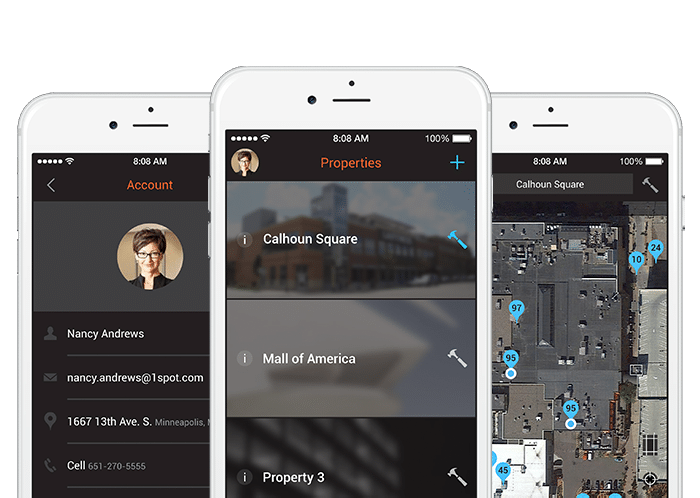 The app and desktop tools we built allow property managers or contractors to walk through the property and enter Points of Interest, or problem areas by touching the screen of their smartphone. The desktop version has a more robust feature set dedicated to reporting and data mining. 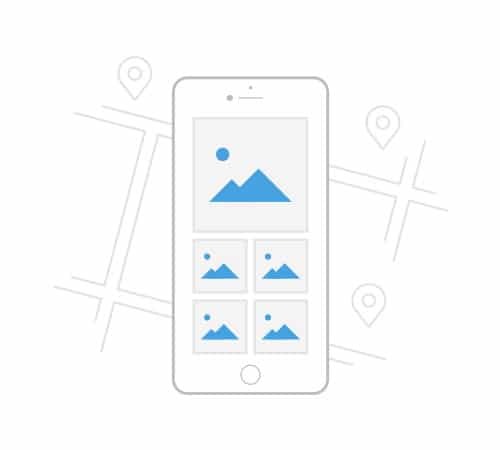 Using the app, contractors or property managers can access the map view of a given location or take a picture and tap it to log Points of Interest directly on the photo. The tool combines desktop and mobile technologies to track the work, resources and budgets required to maintain each commercial property. Through storyboarding and rapid ideation techniques, MentorMate learned about the property managers, their unique challenges and Twin City Outdoor Services’ business needs before beginning preparations for development and design. The app provides visibility into the project for all stakeholders with access. 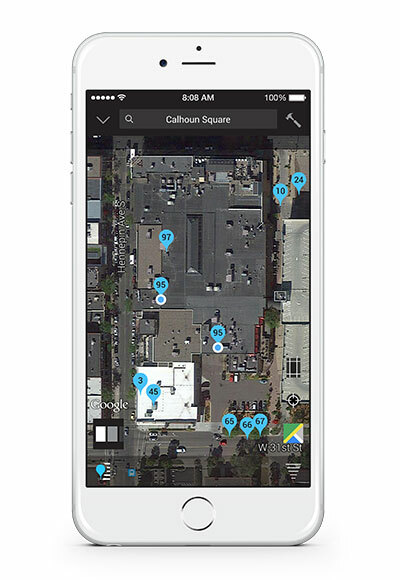 Using geolocation, the number of contractors on site can be called up and viewed at any given time. 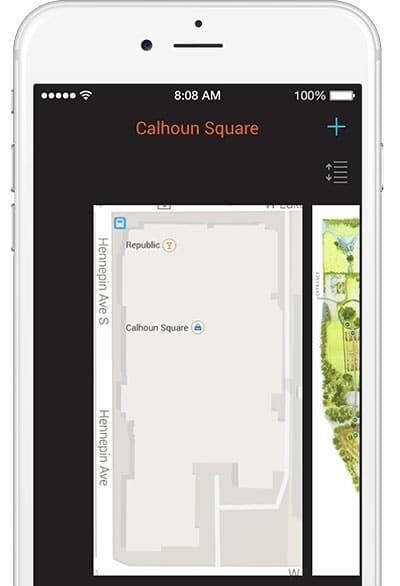 The 1Spot iOS app for Twin City Outdoor Services complete with web interface allows property managers to view the overall health of their properties defined by the number of problem areas, or Points of Interest, that exist. Points of Interest on any given property can be assigned to the same or different contractors as a part of a job. Beyond maintenance, the tool documents communication between property managers and contractors creating a record of change orders for reference. Contractors can add pictures creating visual proof of their work. Capturing this visual proof on a daily or weekly basis can even be used to help property managers call in warranties or insurance claims. If the same issue arises at a given property multiple times, the visual proof can be used to correlate repetitive issues with root causes. 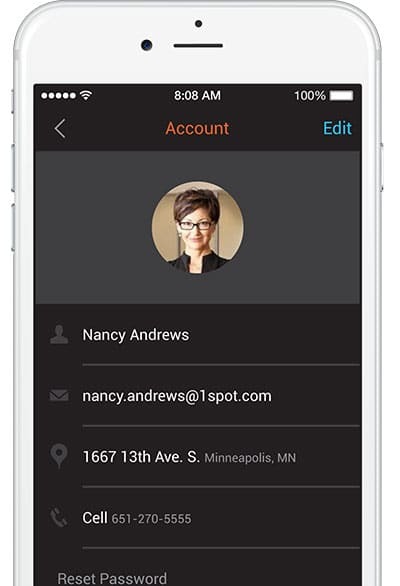 The 1Spot app experience is customized by user persona with different views for property owners, property managers, foremen and contractors. While financial analysis is important for property owners, the main role of the contractors in using the tool will be to view work needed and document completion with visual proof. The varying utility needed by each of the user is reflected in the unique view and functionality available to them.